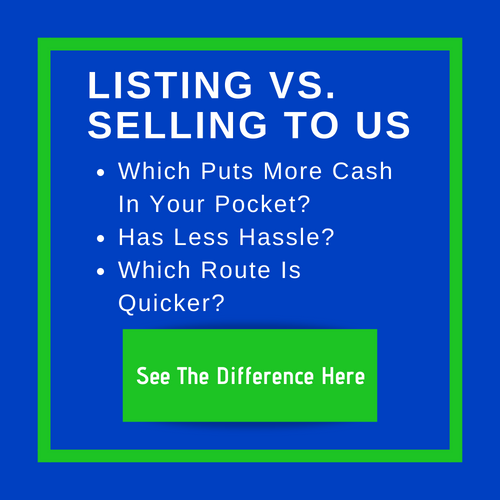 Our company is a Direct Buyer, and we are the expert and focus on helping home owners who need to sell their homes fast, in any condition. We provide no hassle selling experience! First, we’ll give you a call to get a few more details about your house. Just basic stuff, nothing fancy or complicated. Just enough info for us to know what we’re dealing with, so we can make you a FAIR and fast all-cash offer. Next, when we can come together to an agreement on the price, we’ll get the paperwork going with a local trusted, neutral title company so you can trust that there isn’t any funny business going on, and both parties are protected. More importantly, it ensures you will get every penny we agreed upon, and we got clear title to the property. We buy houses in any condition or shape, AS-IS. You’d be amazed at some of the houses we’ve bought before. Why do we buy even rundown houses? Simple, most ugly houses just need a little TLC, and then they’re pretty houses that someone would love to live in once again. We pay for all renovations and repairs after we buy the house — so you don’t have to worry about any of that. Have you heard of Fake Contractor, who required some down payment to work on your house, but only to disappear? With us, you don’t have to deal with them!